We become leaders and we become ourselves by practicing. With a spirit of curiosity, a thirst for meaningful connection, and a commitment to devote time and attention to learning from my experience, I share my practice with you. In sharing with you, I connect more dots and learn more about myself and how I engage with others. I hope you consider practicing and sharing along side of me for the sake of your growth and the growth of your organization, family, and community. I love living in Richmond, Virginia for so many reasons. Vibrant, caring communities of smart, creative people is one of them! CreativeMornings RVA invited me into the specialness they have created to share my thoughts on the topic of Reality. Little did I know their invitation would turn into an invitation to embrace a new reality in my own life. 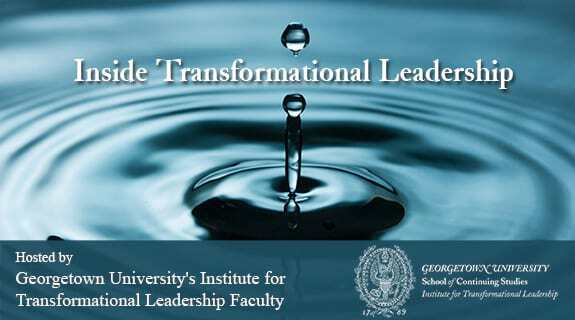 I have the great honor of serving on the faculty for Georgetown's Institute for Transformational Leadership. Our weekly radio show covers all sorts of juicy topics. 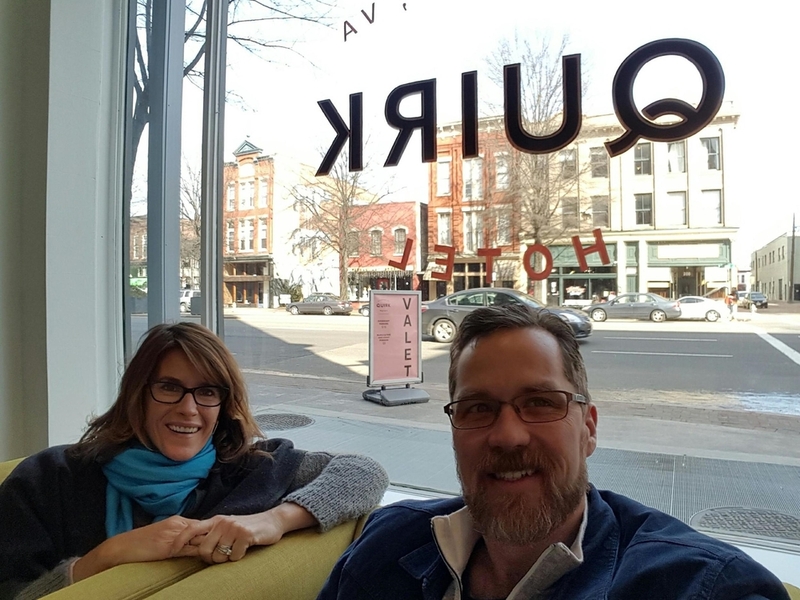 This particular episode my friend and colleague, Barry Johnson, and I chatted with Kate Ebner about a very interesting and important topic, Polarity Thinking. A polarity is often described as a chronic tension, dilemma, or paradox. Polarity Thinking is 'both and thinking'. It is needed in today's world of increasing interdependency and complexity. Leaders must utilize problem solving (either or thinking) as well as 'both and thinking' to address the most challenging of challenges. The research is clear: leaders, teams, and organizations that leverage polarities well outperform those who don't. I am the planner in our relationship. A role I mostly embrace and sometimes resist. Glenn is the feeler in our relationship. He teaches me about the value of spontaneity, doing things when the feeling strikes as well as when they are planned. Our relationship itself is about growth and enjoyment. For as long as I can remember the two of us have engaged in a yearly ritual of a planned evening at our kitchen table with a delicious bottle of red wine. We reflected on our goals and objectives for the outgoing year and then took what we learned to inform and communicate our hopes, expectations, goals, and promises as individuals and as a unit for the year ahead. It was effective and efficient and it was also void of spontaneity, enjoyment, and fun. Two years ago we changed it up and combined our yearly ritual with a staycation. We now check ourselves into a hotel for a weekend and explore, unexplored restaurants, venues, and exhibits in our own city and unexplored conversations in our relationships while playing, planning, and enjoying each other and the process. This year our destination was RVA’s Quirk Hotel, a magical backdrop of love for our yearly ritual. And our outcome was some great learning, aggressive goals, and three beautiful intentions for 2016: To Lift, To Balance, and to be Beauty Full. Here is a little photo diary of our amazing weekend. You can feel the "love & happiness" that went into the creation of Quirk. It set the tone for our weekend. The rooms were thoughtfully done and beautifully designed. Omelets with bacon infused brussell sprouts and swiss cheese - yum! Saturday evening we dined at Mike Isabella's Graffiato. We were eating well. sunshine + warm breezes + floating in turquoise water + laughter + adventure + beauty + gratitude + cherished friends + meaningful conversations + delicious food & spirits. A renewing recipe for my mind, heart, and soul. My first two reads of 2016 are on my shelf ready and waiting! "Mastering Leadership" by my friend Bob Anderson at the Leadership Circle and William Adams. And "Persephone Rising" by the Master of Transformational Leadership, Carol Pearson. Excited to contribute to this article to the Winter edition of Dispatches Magazine by my friends and partners at The Frontier Project. I recently came across an old HBR blog post by Peter Bregman called "The Value of Ritual in your Workday”. Peter shared how moved he was by a scene in The Last Samurai (a scene he didn't remember seeing the first time he watched that movie). The scene was of a samurai drinking tea. Peter went on to share how he realized that while the samurai's strength was demonstrated through his acrobatics and the beautifully choreographed fight scenes the source of the samurai's power was a tea ritual and many other rituals like it. He talked about how "Rituals are about paying attention. They're about stopping for a moment and noticing what you're about to do, what you've just done, or both. They're about making the most of a particular moment. And that's something we could use a lot more of in the business world." Peter went on to say, "Each time we pause, notice, and offer respect for an activity, it reminds us to appreciate and focus on what we're about to do. And by elevating each activity, we'll take it more seriously. We'll get more pleasure from it. The people with whom we work will feel more respected. And we'll feel more self respect. Which means we'll work better with each other. And produce better results." I completely agreed with all of what he was sharing. As I read it, I thought to myself - "YES...rituals are important, they are a source of power, I practice them regularly in my daily life, I use them with the leaders I support and the programs I facilitate, etc. etc. etc." Then the month of December hit and the hustle of the holidays unfolded and I got a humbling reality check on the difference between my beliefs and my actions. In what felt like a skinny minute, I had gone from practicing to professing. Thank goodness for a little reality check. On December 21st, I reconnected with a few of my own rituals to help me get connected to me and the source of my strength. It has been two weeks and I am happy to report that I am back to starting my day with: a question ("What am I grateful for?) before my feet hit the ground, 5 minutes of silence to just listen, and a couple of minutes loving on our pups. While the old email frenzy that was taking up the first 30 minutes of my day was well choreographed and beautifully executed it was definitely a demonstration of my strength rather than its source. I encourage you to take a look at the rituals in your work, leadership, and life - How do you begin every day? How do you begin every meeting you lead? How do you begin every meal you eat? Pay attention to wether you are focused on the source of your strength or a demonstration of it. It may surprise you like it did me! Stevie Toepke, my friend and co-facilitator of Women’s Leadership Series, recently wrote a fabulous article for Inc.com. "Leadership Lessons From A Room of Recovering Addicts" explores something corporate America hasn’t yet figured out but a community of men at a residential treatment facility have. An accountability culture is essential for sustainable results.